We all know how important it is to eat well. Every day, new studies and reports are emerging to show that good food can have countless benefits for our mental and physical well-being, reducing the risks of various diseases and health issues, while also reducing stress levels, boosting our moods, making us fitter, leaner, and happier in general. The only problem is that cooking good food can take a lot of time and preparation. With modern lifestyles becoming increasingly hectic and busy, it can be very difficult for people to juggle their careers, social lives, family lives, and hobbies, all while finding the time to plan out recipes, buy all of their ingredients from multiple stores, and start preparing their meals. That's where meal plan programs like Hello Fresh can help. Designed with the modern, health-conscious foodie in mind, Hello Fresh is an affordable meal plan service, sending full boxes of fresh, well-sourced ingredients straight to your door, complete with recipes and cooking instructions all written down for your convenience. All you need to do is take those tasty fresh ingredients out of the box and start cooking up some awesome dishes. With meals that are designed to be wholesome, filling, health, and delicious, Hello Fresh can let you enjoy 5-star quality cooking every single night with minimal effort every time. It helps you learn new recipes, become a better cook, feel like a master chef, and have more free time to dedicate to other things that matter the most in your life like your family and friends. There are plenty of meal plan services out there nowadays, but how to choose the best meal plan for you? What makes Hello Fresh better than the rest? Well, the three main advantages of Hello Fresh are affordability, quality, and variety. Let’s take a closer look at each of those advantages in detail to help you see why Hello Fresh is the best meal plan provider for you. Meal plans with Hello Fresh start from as low as $6.99 per meal, which is by far one of the cheapest meal plan prices you could ever hope to find. Many rival meal plan companies charge $10+ per meal, with some having way higher fees than that, but Hello Fresh aims to please everyone, regardless of their budget, and understands that many people simply don't want to pay over the odds for good quality ingredients and food. The next advantage of Hello Fresh is quality. This meal plan provider has received countless 5-star ratings from customers and stands out for offering some of the finest service and best meals around. All ingredients are sourced direct from the farm to guarantee high levels of quality in each meal box, and the meals have been carefully designed by expert chefs to feature a good balance of food groups, with lots of protein, vitamins, minerals, and more. Before even adding a new recipe to its line-up, the team over at Hello Fresh tests it out dozens of times to ensure it's both delicious to eat and easy to make. The third and final major advantage of Hello Fresh compared to other meal plan providers is the astonishing array of options on offer. With so many different dinner plans to choose from, and lots of different themes like 'Global Eats' or '20-Minute Meal', as well as options to suit people with strict dietary requirements, Hello Fresh really lets you eat the way you want to. Every single week features a 'Classic Plan', a 'Veggie Plan', and a 'Family Plan', with many different meals and recipe ideas to suit everybody. Now that your tastebuds have been tingled by the idea of delicious meals like Crispy Southwestern Chicken Cutlets, Butternut Squash and Sage Orechiette, Apricot Balsamic-Glazed Pork Tenderloin, and Sweet Potato and Black Bean Tacos, as well as many more wonderful recipes from all sorts of global cuisines like Korean, Greek, Italian, American, African, Irish, French, Indian, Thai, Spanish, Japanese, Mexican, and more, it's time to talk about how to sign up with Hello Fresh and start enjoying those meals in your own home. The process is very simple, and the first step is to simply pick a plan you want to try. 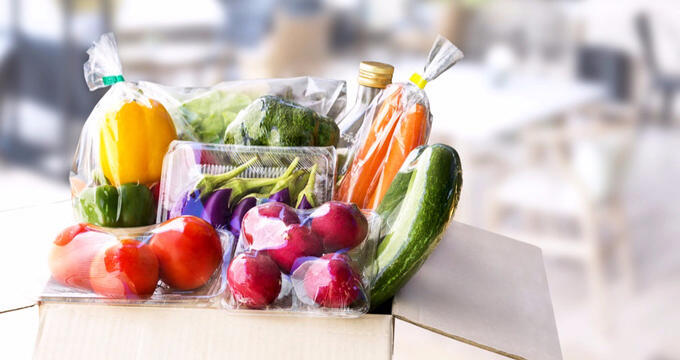 As previously stated, a big part of the Hello Fresh philosophy is offering as much variety as possible, so you'll find plenty of flexible plans to suit you and the rest of your household. Plan options include veggie plans for those who don't eat meat, family plans for those who want easy-to-cook dishes that can please people of all ages, calorie smart plans for those looking to keep their calorie intake down, and more. Another useful advantage of Hello Fresh is that you can swap out meals, cancel, or skip weeks whenever you like.